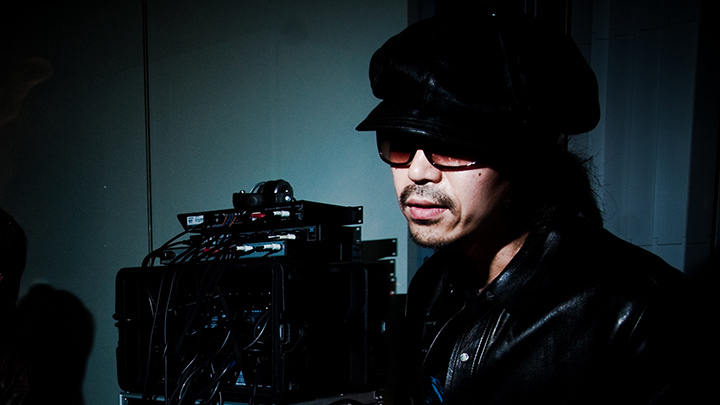 Born in Osaka 22nd January 1968, Yoshihiro HANNO is an internationally renowned musician/composer whose field of work has been expanding from movie soundtracks to orchestral pieces, as well as electronics music. In 1997 he was highly acclaimed for his electronic music releases in Europe, which led him to move to his homebase to Paris since 2000. His creation style, which is boundary-free for any genre has made him unique in the music scene. With his score for Hou Hsaio-Hsien film Flowers of Shanghai, which was highly praised as “discovery of a new talent of movie soundtracks”. HANNO has collaborated with leading Asian directors such as Jia Zhang-ke, Yu Lik Wai etc. He was nominated as best composer in Asian Film Award 2009. Also He composed his first orchestra piece called [WAKE] (2007) committed by 32. Winterthur Musikfestwochen in Switzerland. His subtle yet rich elegant music has gained a strong fan base and is constantly evolving. As HANNO says, “My music is a universal hymn to the primitive pain and pleasure of being human”, his sounds keep giving the audience sensational emotions. 2011 He directed and written a feature film called [UGLY] (starring Yosuke Kubozuka) with Kensaku Kakimoto in Paris, also HANNO directed [tow a vision] (short film 2012), [AND THEN I KNEW ‘TWAS A WIND] (feature film 2014) and some music videos. 2013 HANNO composed his latest orchestra piece for modern fance piece called [Interfacial Scale (for Orchestra and Electronics)] (choreograph by Hiroaki Umeda) was committed by Göteborg Opera in Sweden. RADIQ aka Yoshihiro HANNO is a noble producer/composer who practices broad creation from electronic music to acoustic movie sound track in all over the world and writes music basing on unique and individual point of view. His latest type of electronic project RADIQ which collects dynamism of Dub, Jazz, Afro Cuban music, House music and more into Minimal Groove. RADIQ is the role as recycle equipment which revives memory of term that roots music was filled with creativity, extremely physical and shown off its heat, and also the function as lighting equipment which displays much more “the future” inlaying such roots into the modern context. It can exactly say sophisticated wild. ”Music which is hot as blood and transparent as water” This is the word that Yoshihiro HANNO who symbolized, blessed and sticked to “diversity of music” itself without fear in his various musical styles had explained in his own words placing the word as common feeling through all of his works. This word is brilliantly penetrated also on RADIQ. It will be “hotness of blood” indicates “thickness with history of black music” and “transparency of water” does “to progress it boldly without limitation of its roots”. This is exactly the core of “the music”: Yoshihiro HANNO. In 2004 RADIQ’s innovative sound caused a sensation with 1st album [GRAFFITI & RUDE BOY 67’]. In 2005 2nd album pTomorrow’s Quest] and imprint single pThe Grass Roots ep feat Paul St.Hilaire] (aka TIKIMAN) including brilliant remixes by Akufen and Dimbiman were released on Logistic Records. 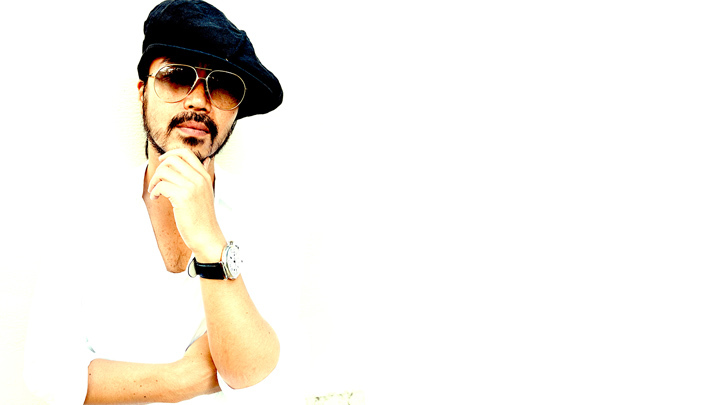 In 2007 he started new project with Fumiya Tanaka making tracks forcus on dance floor as DARTRIIX on their label op.disc. In 2013 RADIQ released [Eastern Hemisphere EP1& EP2] featuring Moroccan Singer Khansa Batma and including remixes by Melchior Production and Margaret Dygas on Cosmo records, also imprint album Vida Noir on op.disc. His works released on op.disc, Sundance, Musique Risquée, Cosmo records, Philpot, Pluie/Noir and more.